Over / Under 2,75 Goals Betting or Over / Under Sports Betting in general focuses on point totals. Punters try to predict what the total number of goals scored or points made in a match will be. They then calculate how far that will be above or below a specific number. Hence, the name of the technique as Over or Under 2.75. Over / Under 2,75 Goals betting techniques can be used in any type of sport that has an accumulated number of points. It can be applied to football or tennis. This is a fun way to bet if you enjoy making estimates. You just need to predict whether the points total will be over or under 2.75 goals. When you bet using Over / Under 2,75 Goals, it means that you place a wager indicating that the total number of goals scored in a match will either be over 2.75 goals or under 2.75 goals. If you bet under 2.75 goals and 5 goals are scored in the match in total, you would lose your wager. If you had bet over 2.75 goals, you would have won your wager. The 0.75 is used to differentiate between the number of goals being exactly 2.0 or exactly 3.0 for which we have Over / Under 2.0 and Over / Under 3.0 Goals respectively. With Over / Under 2,75 Goals, your wager is split into two parts. You can think of it as making two bets at the same time. If you bet over 2.75 goals, this is what would happen. You would essentially make two bets. One bet is for the total number of goals in the match to be over 2.5 goals. The other bet is for the number of goals in the match to be over 3.0 goals. Over / Under 2,75 Goals makes it easy for bettors to win money on a game by guessing whether the points total will be over or under 2.75. 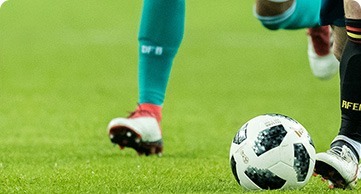 It can be used as a betting technique in football or any other sport where there is a points tally at the end of the game as long as bookmakers provide this type of betting. In a game involving Liverpool and Chelsea, you might decide that a total of 4 goals will be scored, so you bet over 2.75. If 3 goals are scored, you will win half of your bet. That means you would get back half of your stake. So if you bet $100, you would get back $50. This is because when you made your bet for over 2.75, it was split into two bets. One bet was for over 2.5 and the other bet was for over 3.0 goals. With 3 goals scored in total, you won the bet for over 2.5 but not the bet for over 3.0. You would win your bet if 4, 5 or more goals in total were scored. However, if 2 goals or less were scored, you would lose your bet. In that case, you would not get back any of your wager. However, if you had bet under 2.75 and two goals or a single goal were scored in the match, you would win your bet. If the odds were 2.0, you would win £100 X 2.0= £200. Your profit would be £200 – £100= £100. Over / Under 2,75 Goals can also be applied to the game at half time. For example, you can bet that in a match involving Chelsea and Liverpool, the points total will be over 2.75 at half time. If four goals are scored after the first 45 minutes, you would win your bet. If only 3 goals are scored after the first 45 minutes, you would win half your bet. When you bet using Over / Under 2,75 Goals, you choose to either place a wager that the total number of goals scored in a match will be over 2.75 or place a wager that the total number of goals in that match will be under 2.75 goals. That means that you are limited to two possible outcomes. In that cases, you have a 50% chance of winning your bet. Over / Under 2,75 Goals has a positive impact on the betting odds. There are only two possible outcomes so your chances of wining your wager are higher than if you were betting on win, lose or draw. Over / Under 2,75 Goals is a useful betting technique, just like almost any type of Asian handicap. Bettors use many different strategies to make a profit in a game. In some cases, it helps to focus on the total number of goals which are scored in a match. This may be less risky than betting on a particular team to win, then getting a result where they lose or the match is a draw. If you bet under 2.75 goals in a match between Chelsea and Man United, you will win your wager once there are two goals or less. This means you win no matter who wins. In cases where you aren’t certain which team will perform better but feel you can guess the goal total, betting Over / Under 2,75 Goals is a good strategy. Over / Under 2,75 Goals is a good goal line for betting but since it is slightly less popular than Over / Under 2,5 Goals, you may sometimes get it for a better price from some bookmakers. This makes it a good alternative for punters who want to use O/U goals as part of their strategy but are looking for a way to win a little more money on their wager.